Evan lives in Bagworth and has over 30 years’ experience of working in the third sector. Evan has worked at a variety of levels, in social housing, in social care, in the health sector, in regeneration and in social enterprise development. He was CEO of Social Enterprise East Midlands from 2000 to 2008 and CEO of Regeneration East Midlands from 2008 to 2010. Since then, he has been a Lay Member of West Leicestershire Clinical Commissioning Group and joined the Board of Healthwatch Leicestershire earlier in 2016. Currently, Evan Chairs the Public and Patient Involvement Group for Better Care Together, is working with volunteers in North West Leicestershire to develop a performing arts programme at the Century Theatre and works on a freelance basis with a number of statutory and voluntary organisations. Evan has been committed to the development of social justice and inclusion since working with street homeless people in the 1980’s. 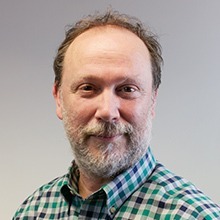 He has extensive experience of voluntary sector infrastructure development through past membership of the Board of MRC Community Action in NW Leicestershire. He is looking forward to contributing to the on-going growth and development of VAL, which he sees as a vital component of a sustainable Leicestershire.